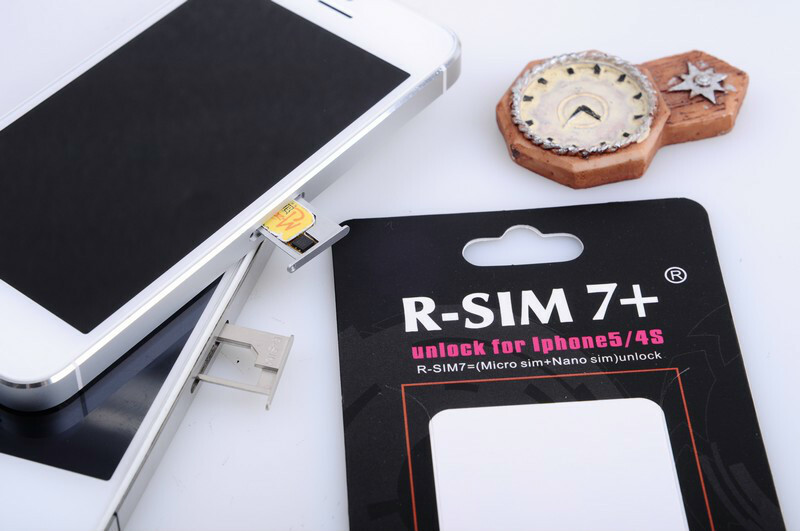 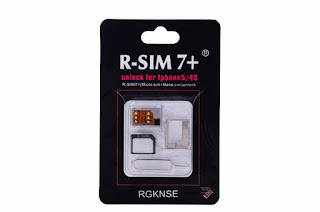 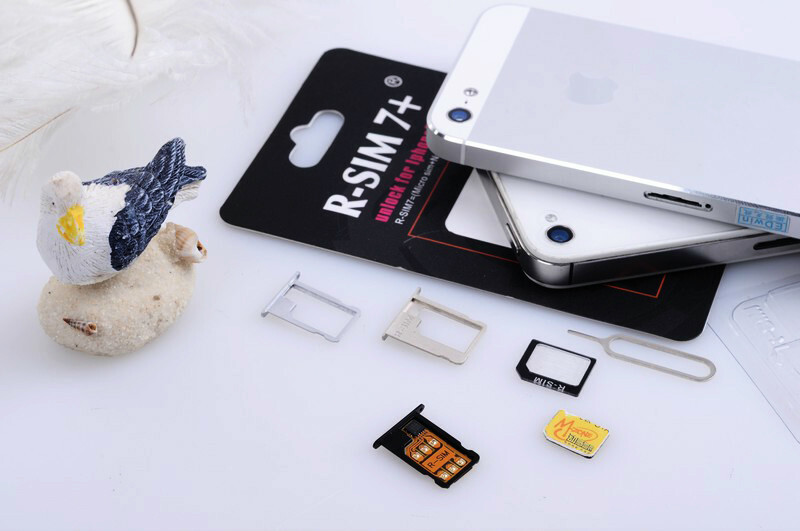 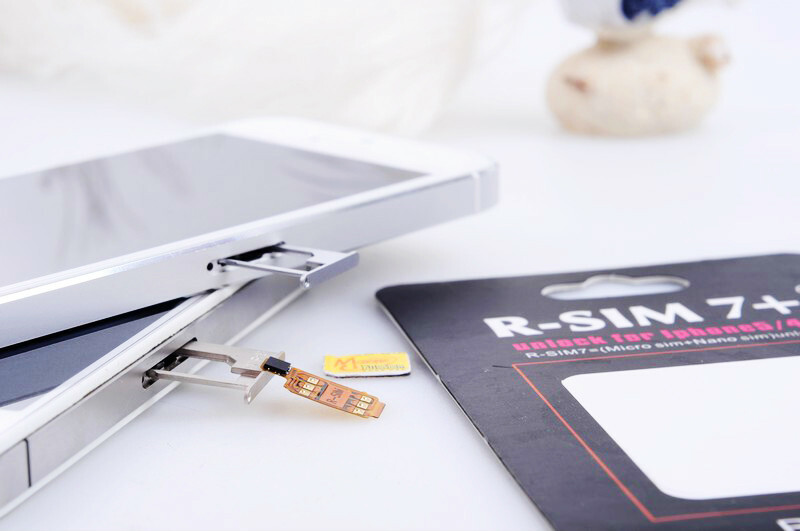 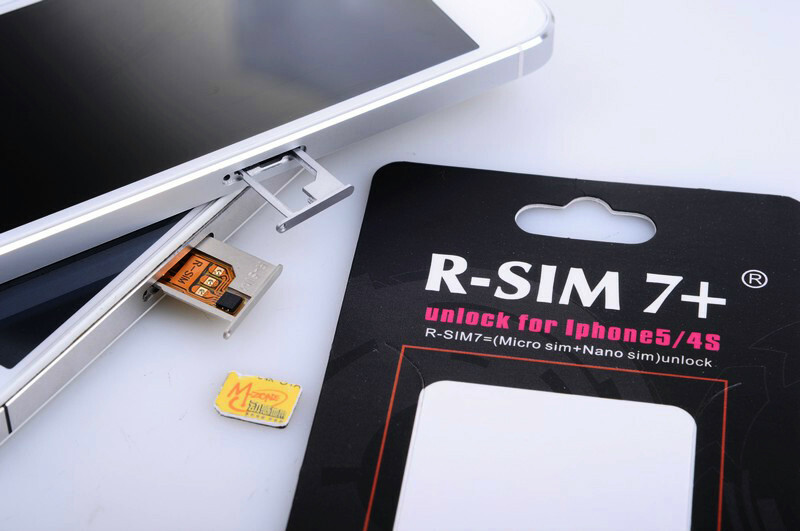 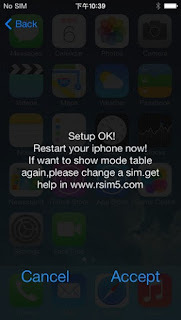 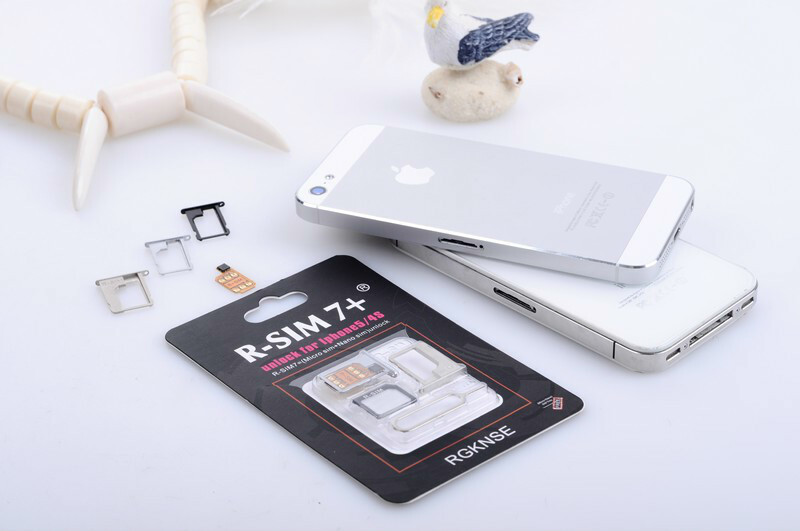 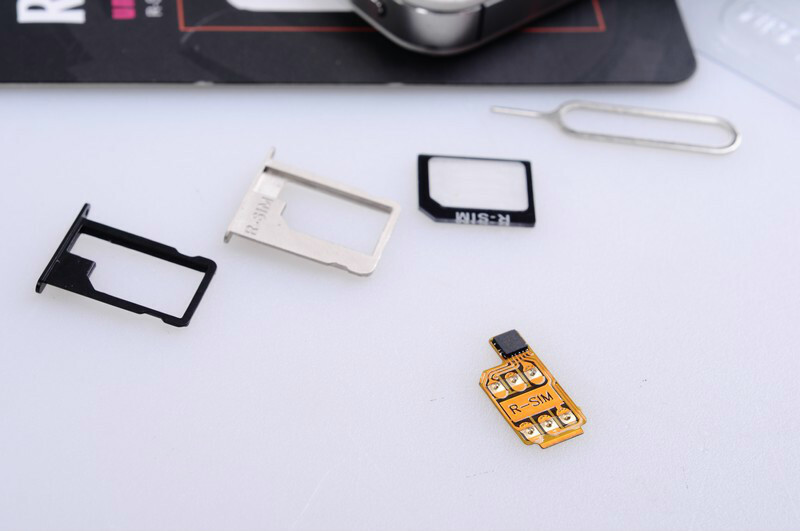 R-Sim7 +Unlocking and Activation Card is compatible with latest iPhone 5 and 4s firmware iOS 6.0 and iOS 6.0.1 any baseband both CDMA, GSM & CDMA supports 3G SIM cards and Networks. 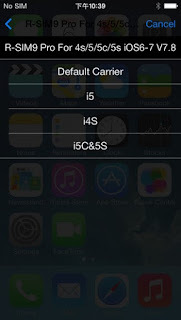 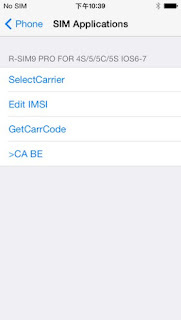 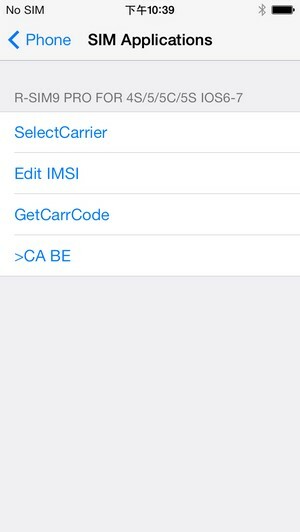 All you need to do is to insert R-Sim7 card into your iPhone device, go to Settings > Phone > SIM Application and configure the options that includes selecting the network that you want to connect. 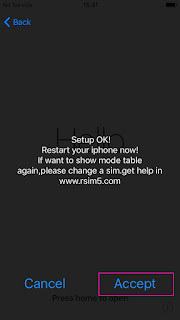 After that, a restart is required in order to complete the process. 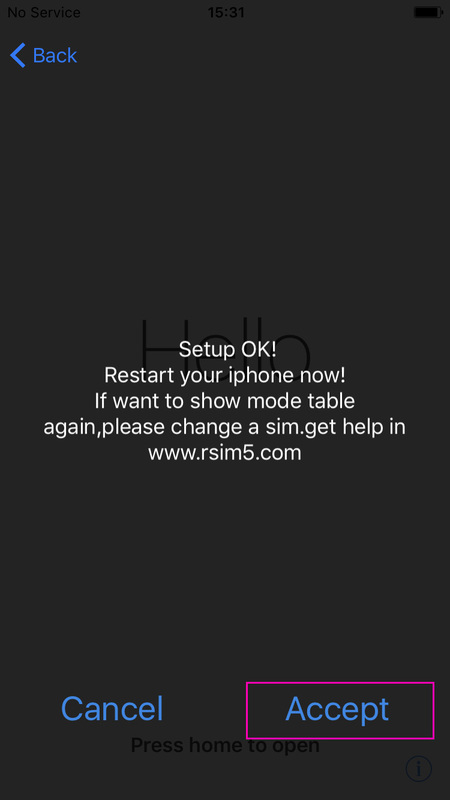 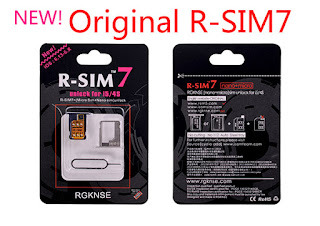 If you are trying to use R-Sim with the CDMA based Verizon/Sprint/Japan AU models, you need to install an auxiliary patch. 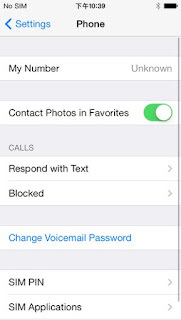 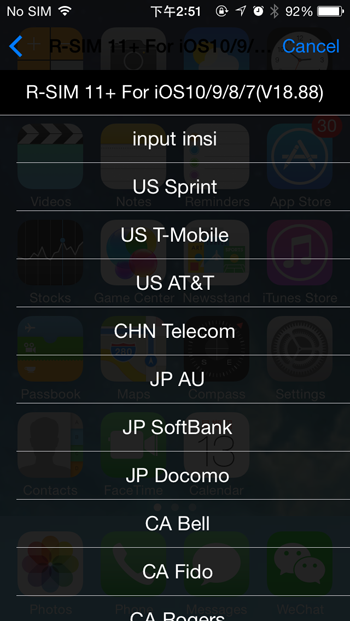 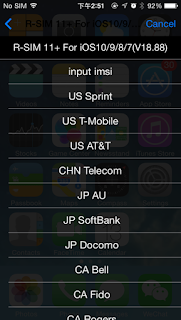 The United States Sprint/Verizon version and Japanese AU version iPhone5, Use RSIM unlocking, please enter the iPhone5 >>settings>>General>>Network:open all network switch, including (data roaming, CDMA data roaming), can be fast search to signal and carrier name! 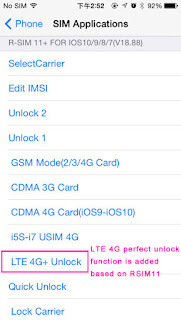 If your system is IOS6.0, please first update to 6.01,iPhone using wireless WIFI connected to the network, and then in the iPhone browser to open "www.isamsim.com/cdma3g"or"www.rsim5.com/cdma3g",will show Install Profile window,click"install"and click"Done", restart iPhone,your iPhone network settings in cellular data all switch is opened, it can connect to the internet! If the phone activates but it does not get network, it meens configuration is done properly but you are using a USIM (128K SIM CARD) and a patch is needed. 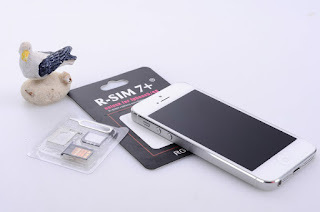 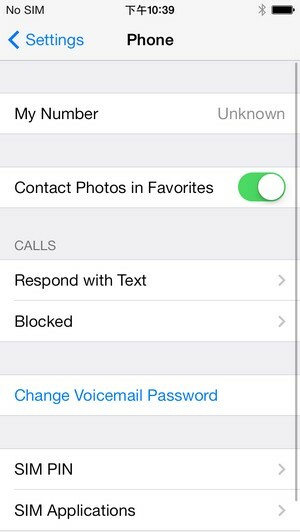 If you miss configure the card, inserting a new SIM card will start the configuration process again. 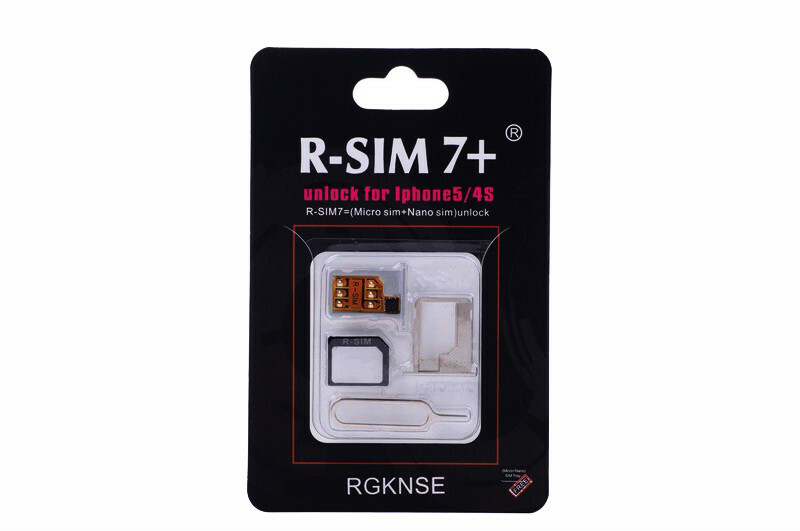 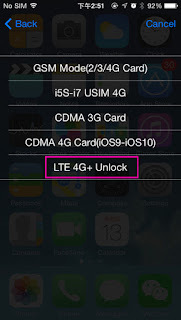 RSIM11+ mainly added new LTE 4G function which gives perfect unlocking as an unlocked phone. 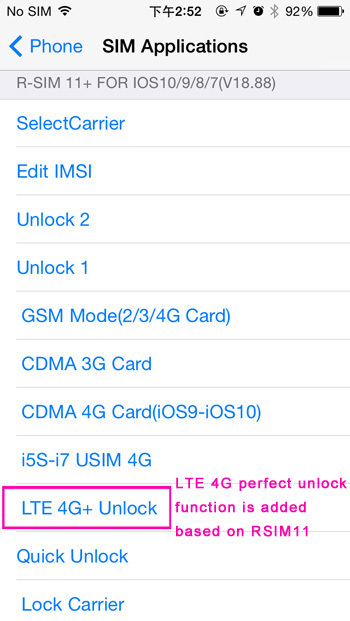 Unlocking LTE 4G doesn’t require selecting operators, but considering other functions, we suggest choosing corresponding operators. 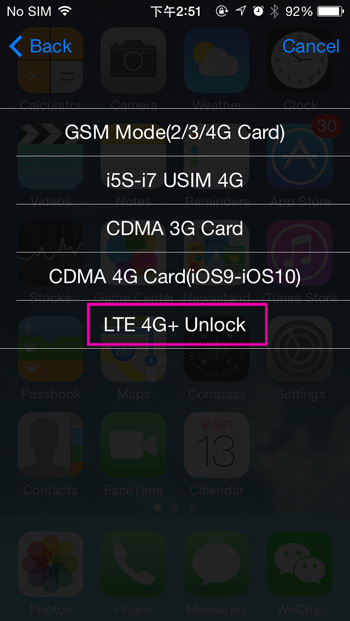 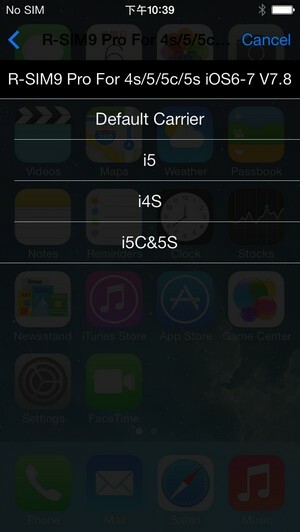 After operator selected, choose LTE 4G+Unlock in the pop-up. 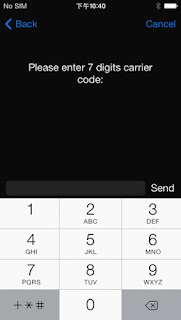 4: when there's no you choose type pop-up operators list, click the first option "Other carrier" into the manual input the code model, (common operators see the code behind the code table), manual 7 digital input operator code and click on "send" (less than 7 digits plus 00. 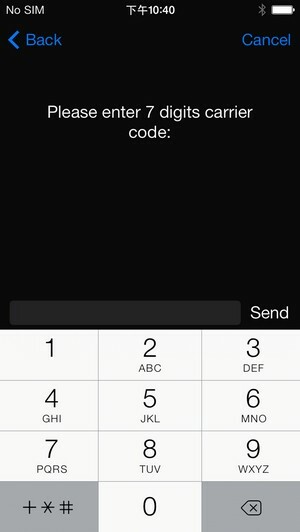 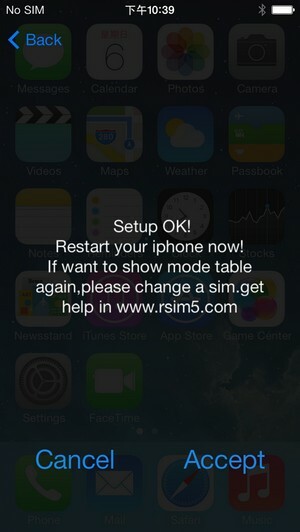 ), then click "accept", restart iPhone can restart, about 5~10 seconds, appear magical signal!